Retail Location Open for 2019!!! ​Our Sod is Cut-From-Order, guaranteeing Quality & Freshness! ​Click the map for directions / navigation. ​Please call if you have any questions. Visit Jackson Sod for all of your landscaping needs!!! We sell sod direct from the field. We also deliver sod to the Louisville Metro area. ​Contact us for availability, pricing & delivery estimates. Our premium quality sods are great for active family yards, commercial properties and decorative greenways. Our Fescue and Bluegrass Sods have the ability to withstand punishment and recover quickly. Need help installing & caring for your new sod ? We can help. Check out the DIY section for all your new sod needs offering measuring instructions, soil prep and sod installation help. Please call 502-241-9796 or 502-640-1455 for a free consultation or to place your order today. 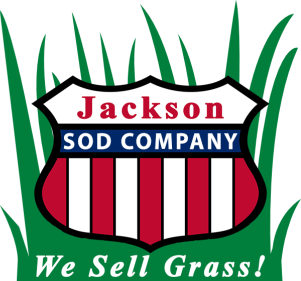 Jackson Sod Company is a full service sod farm offering sales, delivery, installation. ​We grow beautiful sod and offer excellent customer service. We are open to the general public, private contractors, and retail businesses.